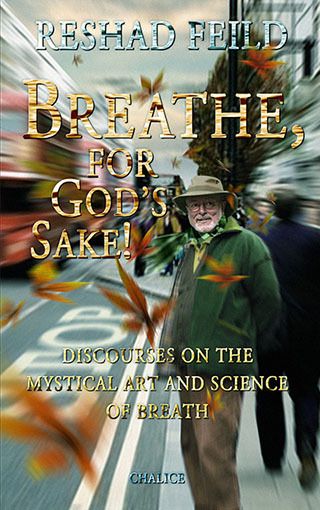 This book holds a treasure of deep insights into the great mystery of breath from a spiritual perspective. Inspiring discourses, effective and safe practices and beautiful poetry from various traditions encourage the reader to explore the wonder of breath on many levels. What is breath, really? What is the meaning of this life-giving secret? How important is conscious breathing for true spiritual transformation? What do we make of the fact that our life’s possibilities lie between an in- and an out-breath? How is breath related to the rhythm of the universe and, thus, to time? What is its role in the “becoming of being” from the ever present “womb of the moment”? How can we breathe in food and distill it into the alchemical elixir needed for real change in our life to come about? How can we breathe out to change the atmosphere in a room or in a given situation, in full responsibility for the people around us and for “the world to come”? What could it mean that Jesus “walked on water” and that “breath and Spirit are one”? What is, esoterically speaking, the relation be tween Mary, Jesus, the Spirit of God, Ruh Allah, and Christ? On the basis of his lifelong studies of the world’s major spiritual traditions, and especially from the inner essence of Sufi teaching, Reshad Feild provides food for thought and practical means to help people work with the breath in everyday life.